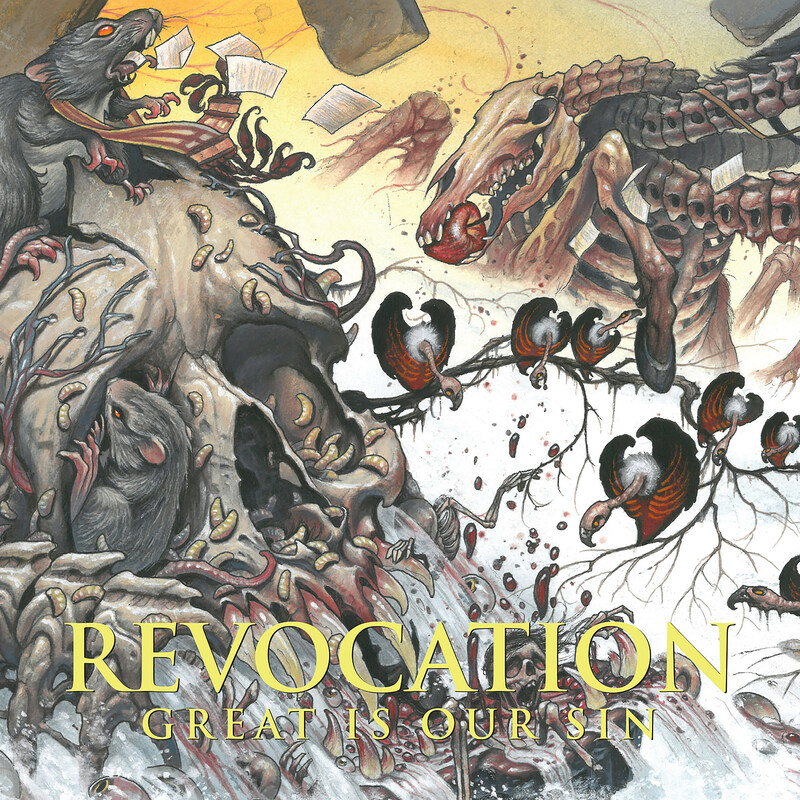 Massachusetts metallers Revocation have premiered their forthcoming sixth full-length album, Great Is Our Sin, over at Invisible Oranges. The album will officially be released this Friday, July 22, via Metal Blade Records and can be purchased here. Great Is Our Sin is yet another solid release from these technical thrashers. It churns over 40 minutes of blistering extreme metal that carefully balances between high octane brutality and dizzying complexity. Check it out now.